Combining beautiful tailoring with a chic navy Prince of Wales check, this Marina Rinaldi jacket is a gorgeous investment piece. 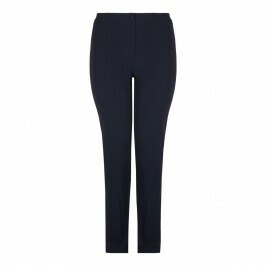 Pair with tailored trousers and a simple white top for a chic and stylish ensemble. Navy Prince of Wales check half lined jacket. 80% Cotton, 16% Viscose, 3% Elastane, 1% Polyamide. Lining: 100% Viscose. Delicate Dry Clean only.